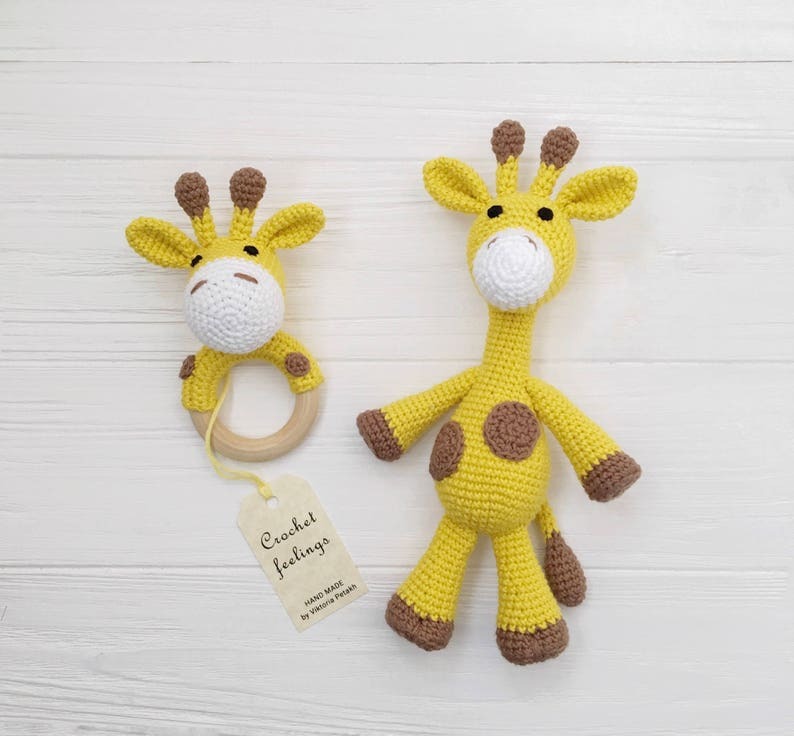 Amigurumi stuffed giraffe toy and crochet baby rattle can be beautiful baby shower or christening gift for newborn baby! It's Baby Safe for smallest children, because toys are made of only natural materials without any small details. Eyes are embroidered. You can include gift wrapping for additional costs if you want to send this as a gift to your friends. !! Please note that this item is Made To Order, so it could have a little difference from the picture.!!! Rattle is 4.3 inches (11 cm) high. Wood ring diameter (beech) is 2.1 inches (5.4 cm). The item makes a nice noise. Giraffe toy is 8 inches (20cm) high. All items will shipped by registered airmail. For all package I will provide the tracking code. Please note: some local postal services do not provide on-line tracking for international registered airmail. Such as: Germany, UK, France, Italy and Australian post. So I can track your package only while it's in Ukraine. Perfectly handmade. Arrived with good packaging and in right time. 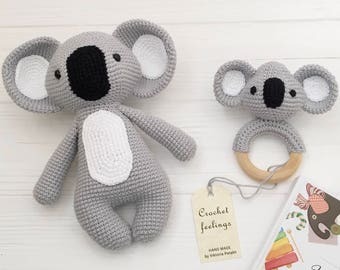 I cannot over-emphasize how adorable and well made these are! I love them so so much, as does everyone else who has seen them. Very quick delivery too! -	Cotton 55%, polyacryl (PAC) 45%. 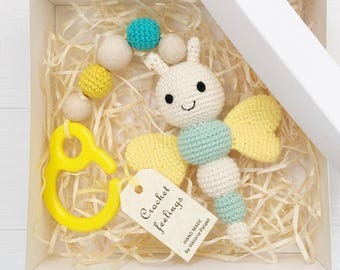 Babies will definitely be fit with rattles as toys are made of only natural materials without any small details. + Ecologically clean. Holofiber doesn’t emit any harmful substances and produces no skin irritations. + Biosustainable. It means the fiber is resistant to different fungus, mold and other microorganisms. The items can be washed in a washing machine at 30° C.